A pebble thrown into a body of water makes a ripple effect. A rock makes a splash. This too can be said about the way we choose to live our lives. We can choose to make a ripple or a splash. 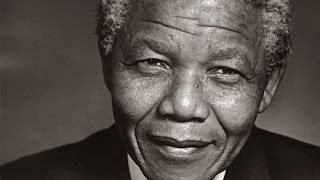 When I think of Mr. Nelson Mandela and the sacrifices he made and the stands he took to make a difference, it’s evident that he made a big splash. His life and legacy will always be remembered and lives will be forever changed because of his selflessness. He was willing to be smaller to help a nation rise. Are you making a ripple or a splash? It’s never too late to make a difference and it doesn’t matter what you have been through. Mr. Mandela is a testament of that. Most of his impactful work was done when he was over 70 years old, after he was released from 27 years of imprisonment. A ripple or a splash? The choice is yours.